The 18 tanks are finalized and ready to leave for the end customer EDF in Guadeloupe. 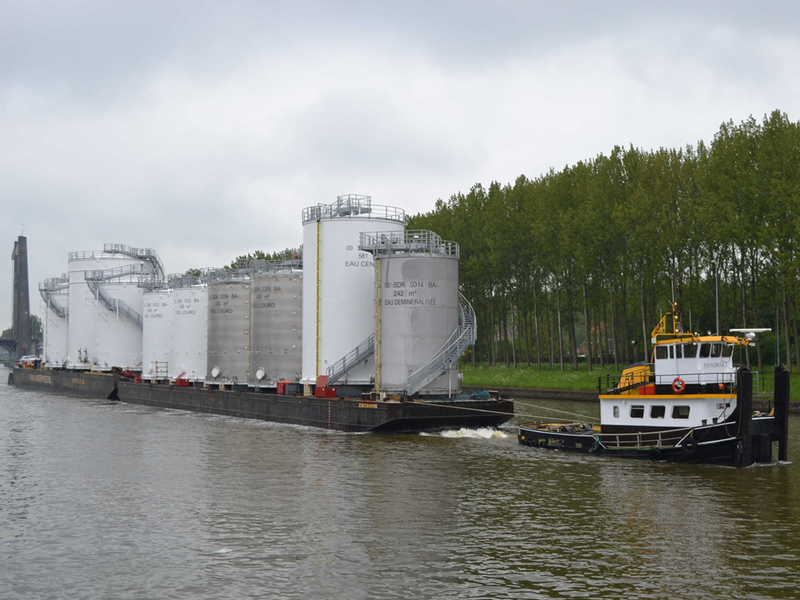 The tanks were loaded onto a pontoon and shipped to Westdorpe (The Netherlands). From there they are shipped to Guadeloupe. In Westdorpe the tanks were subjected to the critical eye of the Man Diesel-FAT-team for the Final Acceptance Test. The first shop built tanks were already in the site on the 5th of May. After release from the MD team the first tanks were lifted onto the sea vessel “Happy diamond” on the 21st of May. After their sea voyage, the tanks are expected to arrive at the quay of Pointe Jarry in Guadeloupe approximately on the 5th of June. In the mean time our team has already gone in the site to measure the foundations and point out the correct position of the anchors. And then, still to come, last but not least: the transportation of the 18 tanks over the (only) public road in Guadeloupe to the EDF-site. Our “A-team” will handle this task, together with Mammoet.